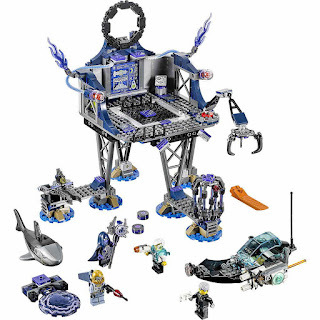 included an ultrasonic jet and a professor brainstein’s mech suit. 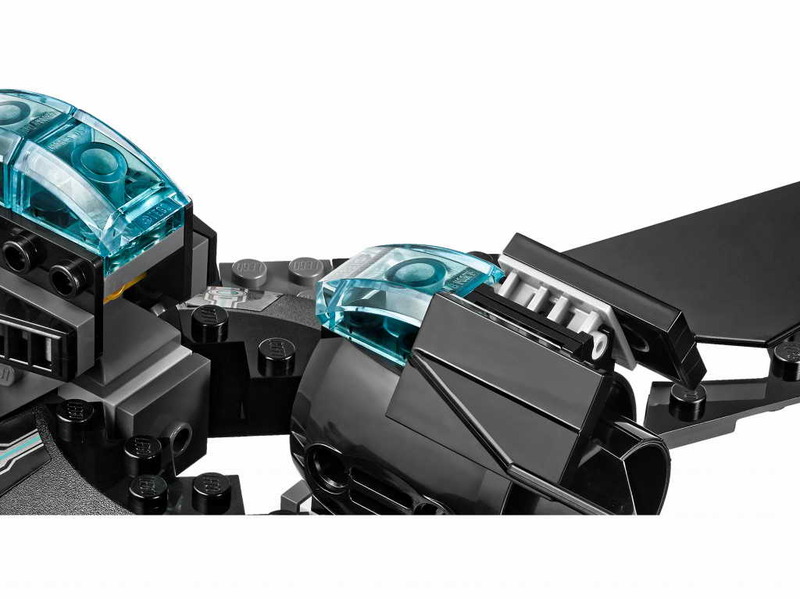 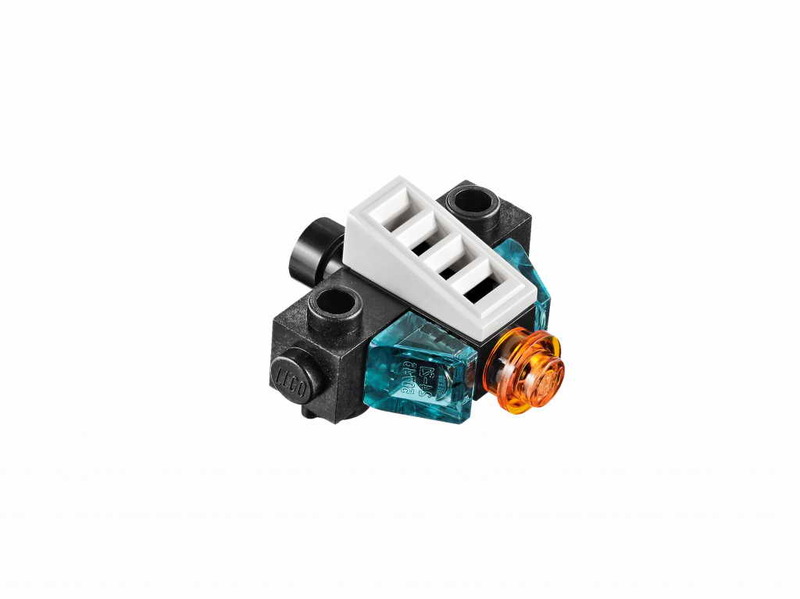 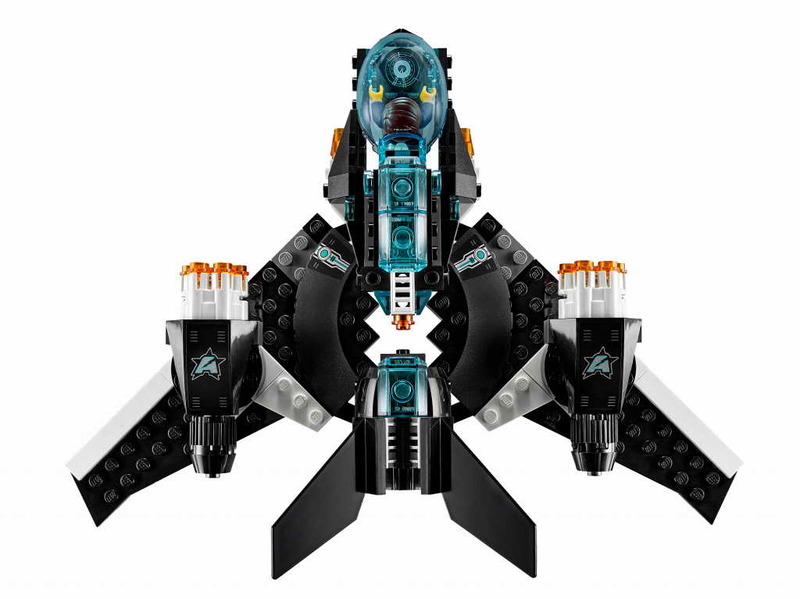 the jet has an openable cockpit, 2 rapid shooters, a detachable mini drone with an appbrick gadget, 2 appbricks and transparent blue ultra agent elements. the suit has 4 legs and a shoulder mounted stud shooter. 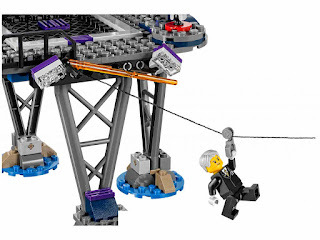 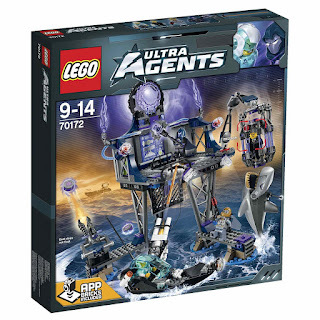 minifigs included an ultra agent curtis bolt minifig and a professor brainstein minifig. included an antimatter's portal hideout, an agents’ speedboat and a shark. 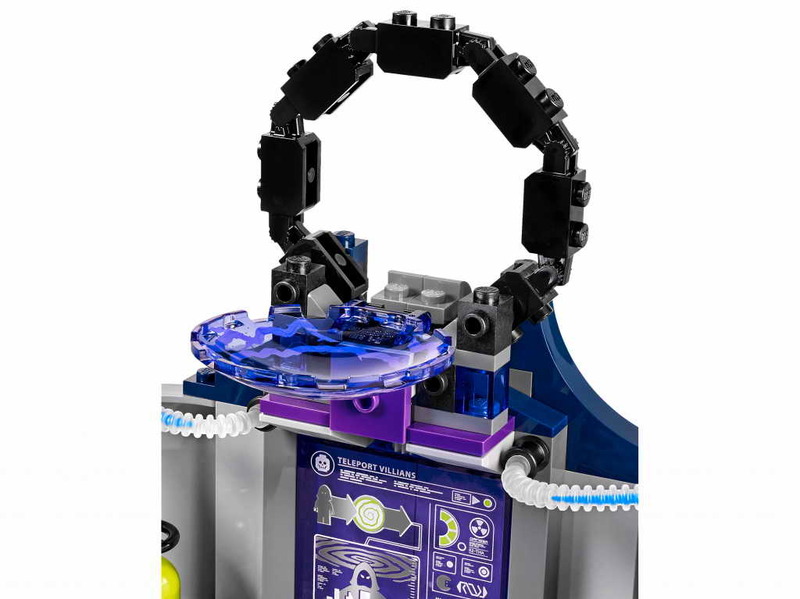 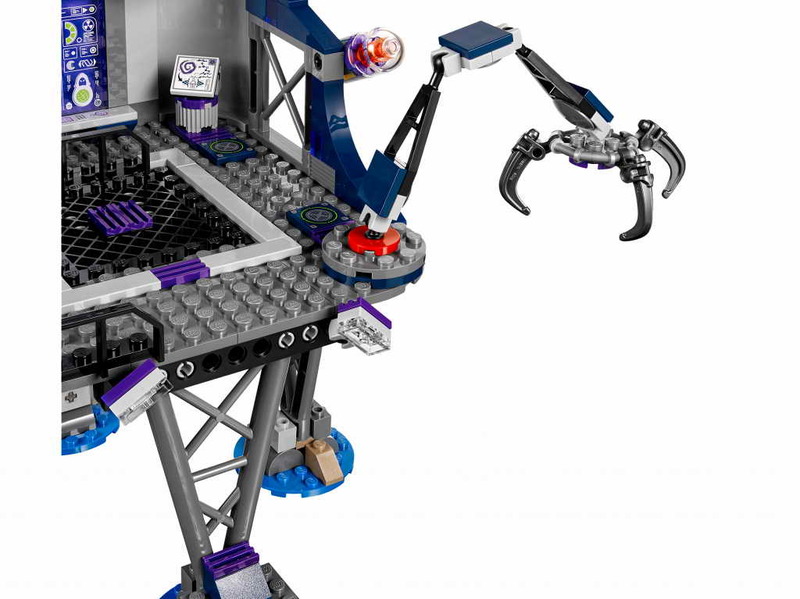 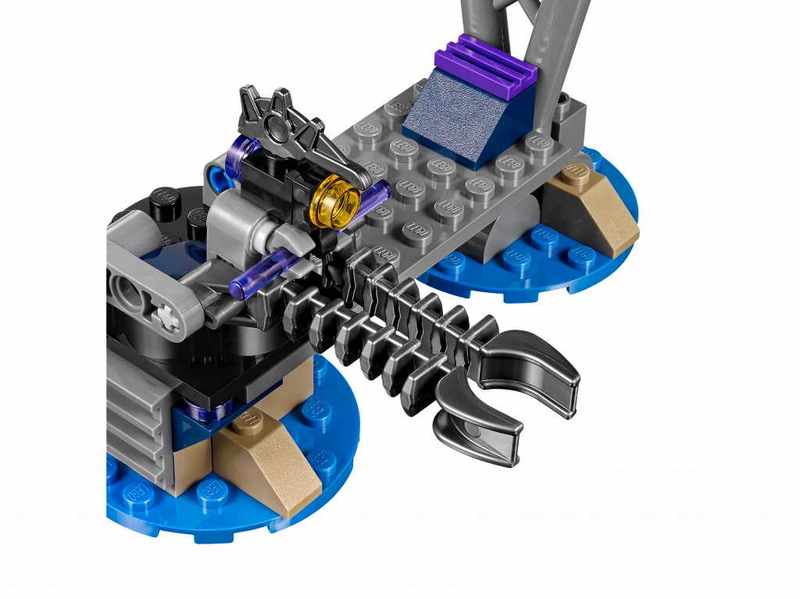 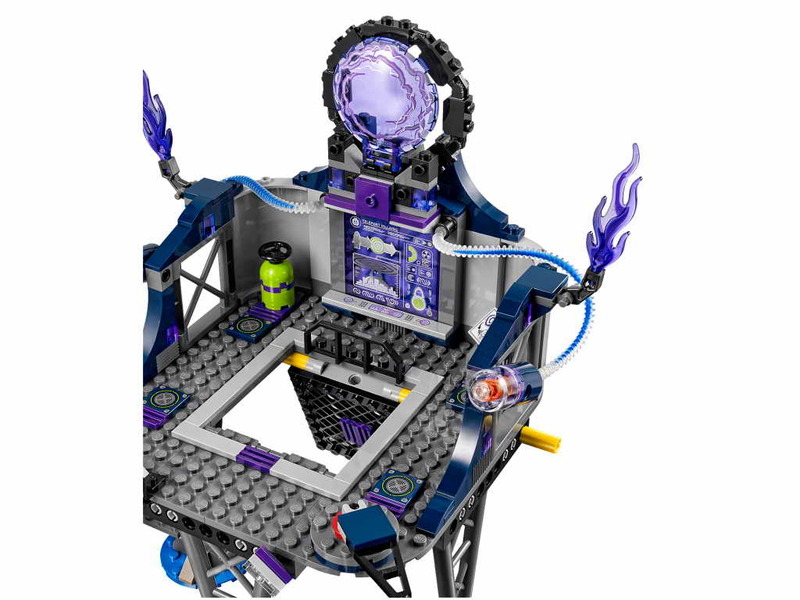 the hideout has a movable claw arm, a portal mine launcher, a trapdoor, an openable prison pod, an openable portal with a detachable appbrick gadget and 4 appbricks. 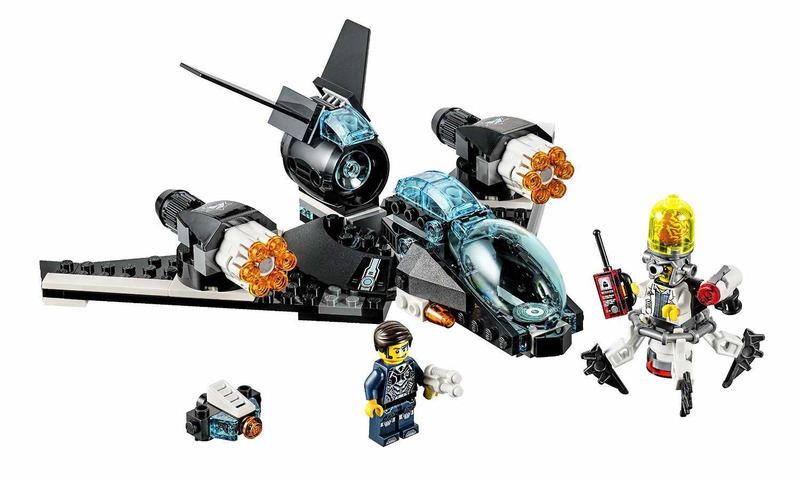 the speedboat has a cockpit, a stud shooter, a zipline and a grappling hook. 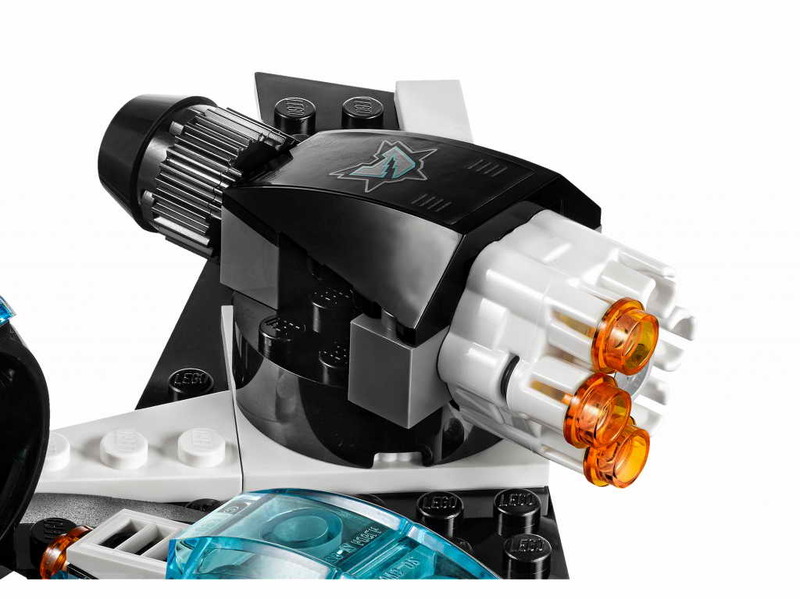 the shark has openable mouth. 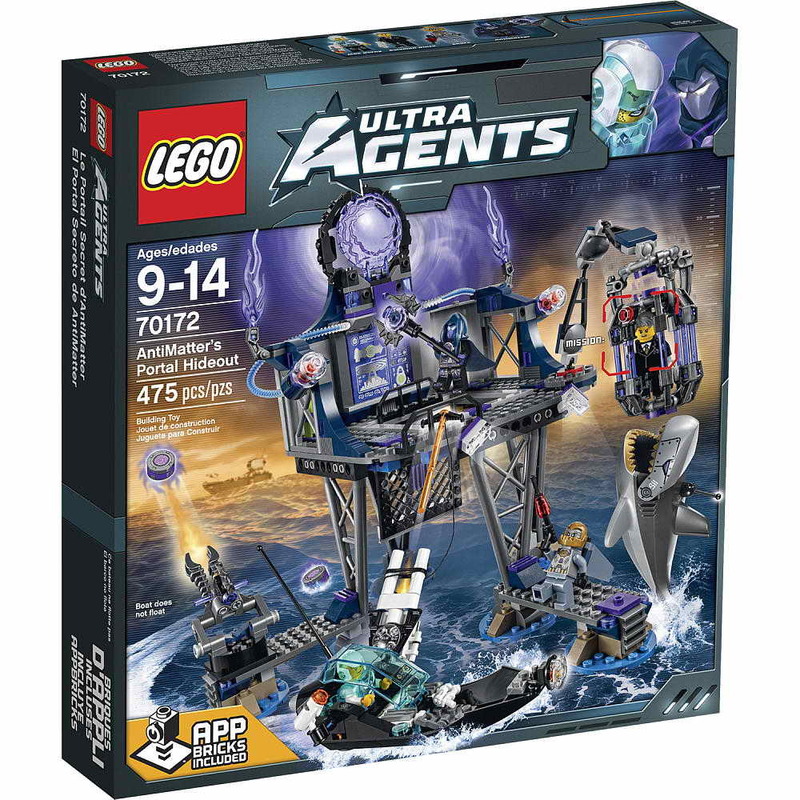 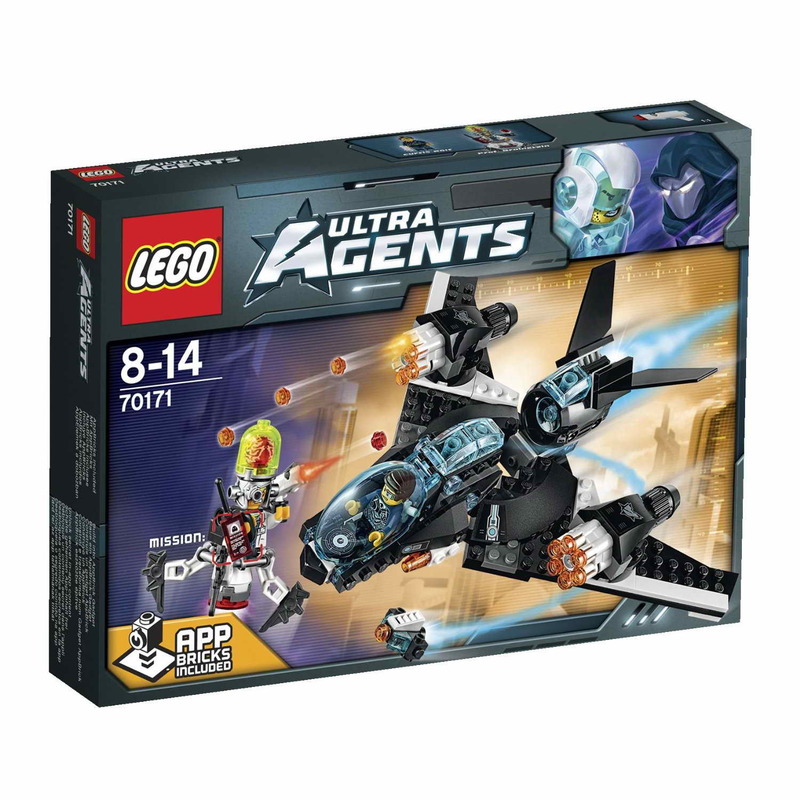 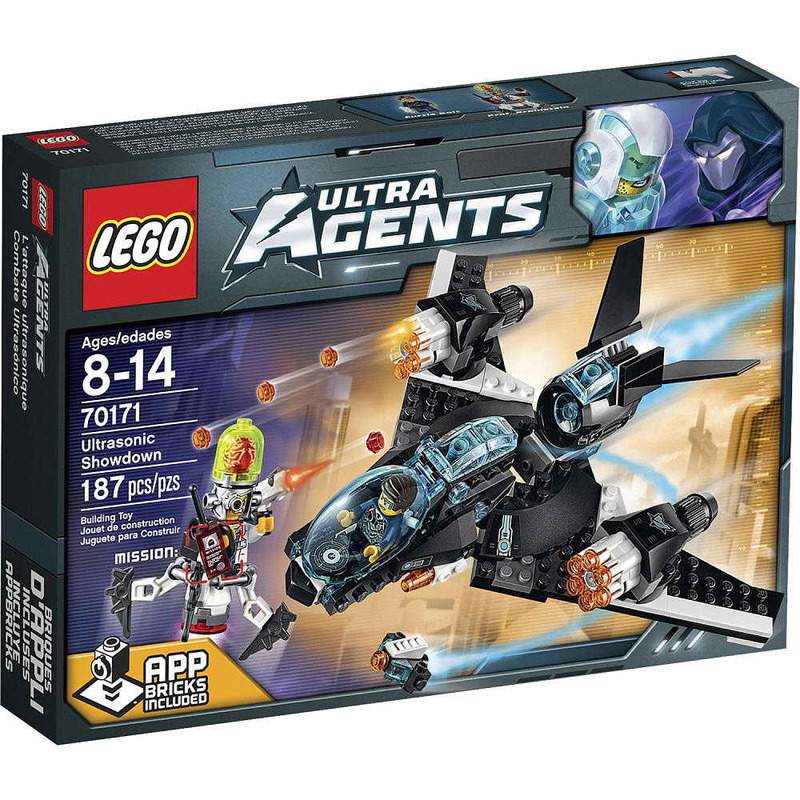 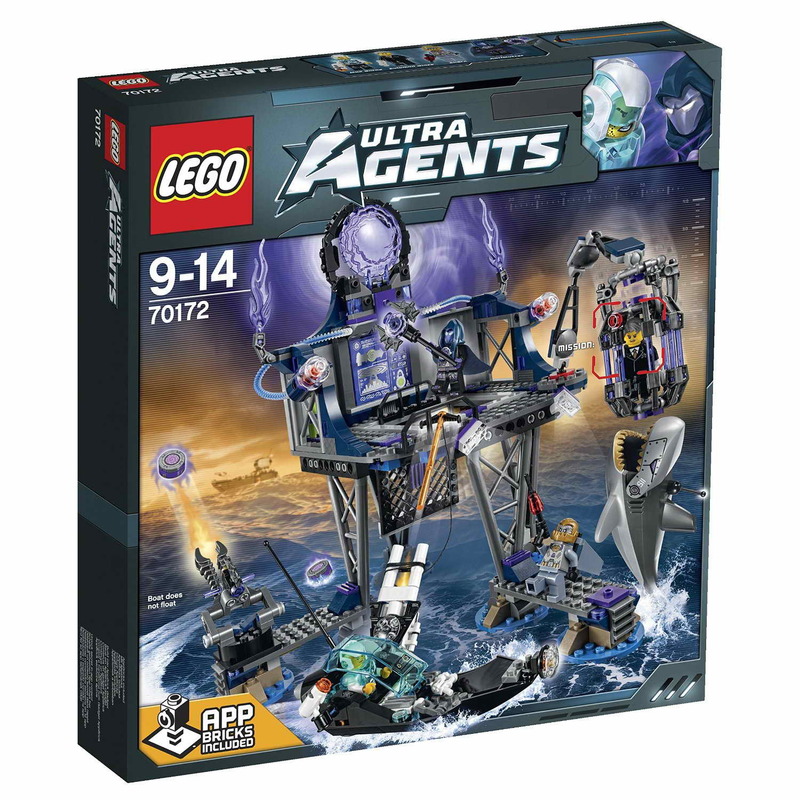 minifigs included an ultra agent solomon blaze minifig, an ultra agent max burns minifig, an antimatter minifig and a sharx minifig.